Take a break from Adelaide with a short trip to The Cedars in Hahndorf, about 30 minutes away. Dedicate the 4th (Mon) to wine at some of the top wineries in the area. There's lots more to do: admire the natural beauty at Adelaide Botanic Garden, admire the masterpieces at Art Gallery of South Australia, browse the eclectic array of goods at Adelaide Central Market, and steep yourself in history at Old Gum Tree Reserve. To see reviews, maps, and more tourist information, use the Adelaide sightseeing planner. Mumbai, India to Adelaide is an approximately 19-hour flight. You'll lose 4 hours traveling from Mumbai to Adelaide due to the time zone difference. Traveling from Mumbai in February, expect nights in Adelaide to be about the same, around 19°C, while days are little chillier, around 32°C. Wrap up your sightseeing on the 5th (Tue) to allow time to travel to Gold Coast. Kick off your visit on the 6th (Wed): try out the rides at Sea World Theme Park and then make a trip to Rotary Carousel Broadbeach. 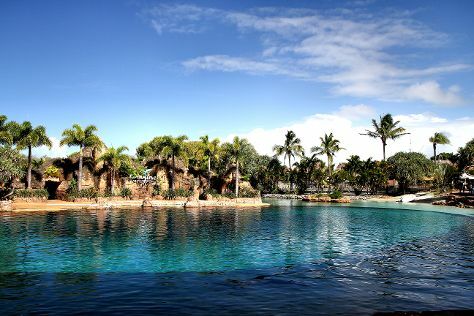 Here are some ideas for day two: get in on the family fun at Warner Bros. Movie World, then enjoy the sand and surf at Surfer's Paradise Beach, and then get in on the family fun at Infinity Attraction. To see photos, where to stay, traveler tips, and other tourist information, read our Gold Coast day trip app . Getting from Adelaide to Gold Coast by flight takes about 5 hours. Other options: do a combination of flight and train; or drive. Traveling from Adelaide in February, expect a bit warmer with lows of 24°C in Gold Coast. Wrap up your sightseeing on the 7th (Thu) to allow time to travel to Sydney. Sydney is known for nightlife, trails, beaches, parks, and museums. Your plan includes some of its best attractions: wander the streets of The Rocks, don't miss a visit to Sydney Harbour Bridge, see a show at Sydney Opera House, and admire the natural beauty at The Royal Botanic Garden. 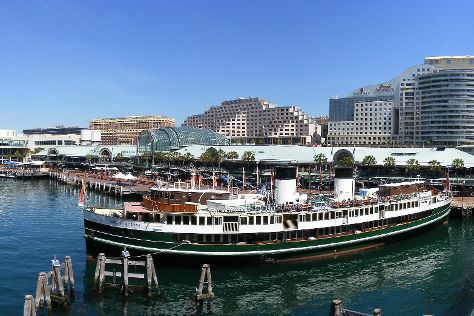 To see photos, ratings, traveler tips, and more tourist information, read our Sydney visit planner . Traveling by flight from Gold Coast to Sydney takes 3.5 hours. Alternatively, you can do a combination of train and flight; or drive. In February in Sydney, expect temperatures between 31°C during the day and 23°C at night. On the 12th (Tue), you'll have the morning to explore before heading back home.